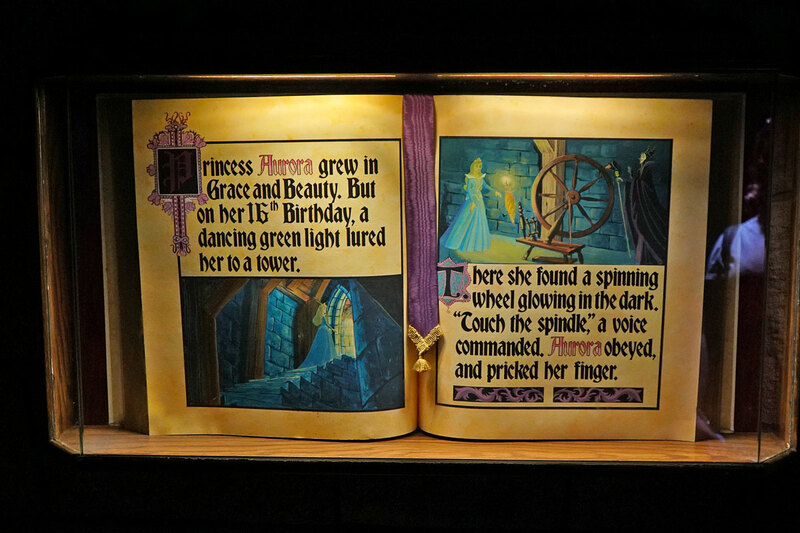 Two years after Disneyland's grand opening, the inside of Sleeping Beauty Castle was opened up to the guests. 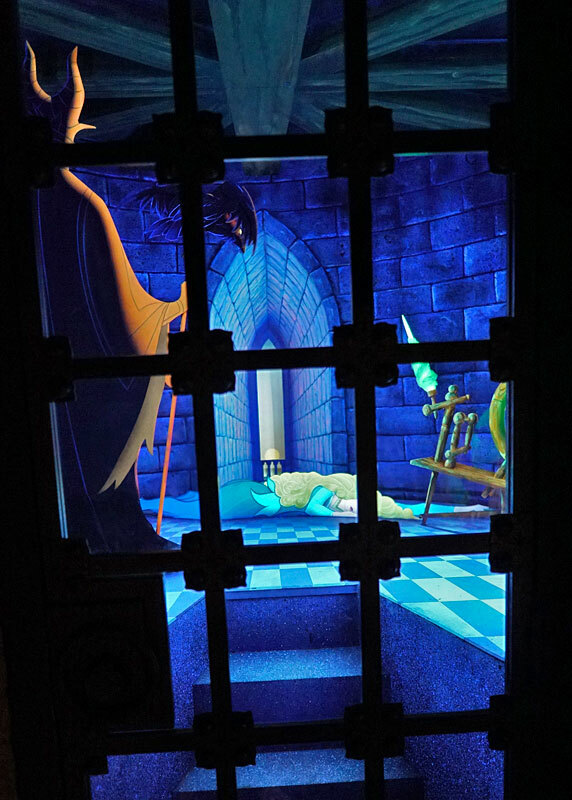 Inside, guests traverse narrow passageways and staircases, as they pass dioramas depicting the story of Sleeping Beauty. 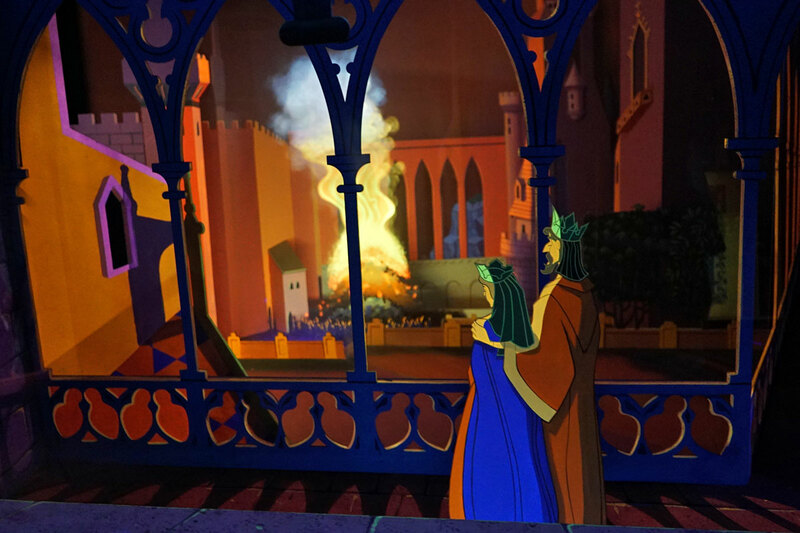 Surprisingly, the animated movie wasn't to be released for another two years. 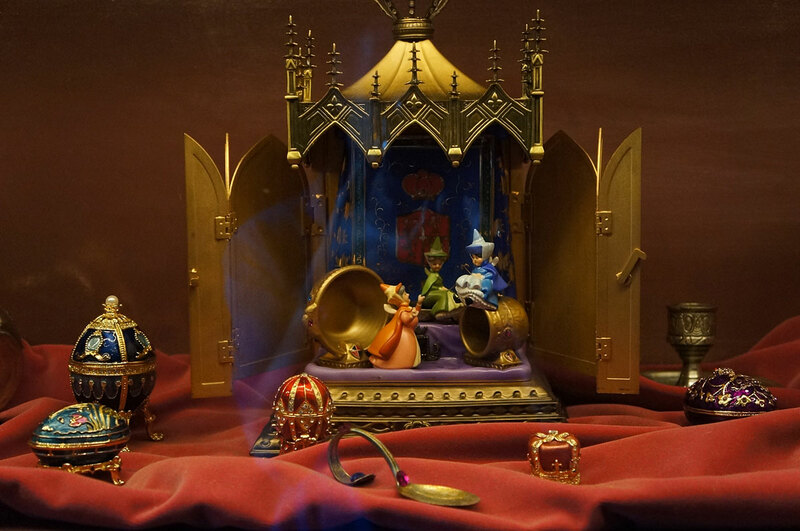 But great care was made to ensure that the dioramas would match the art and style of the movie. 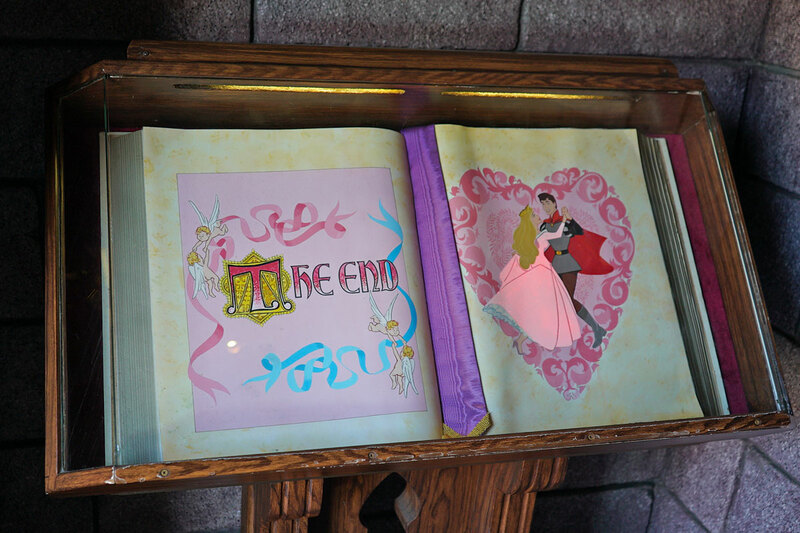 The walkthrough would be updated twice over its lifetime. 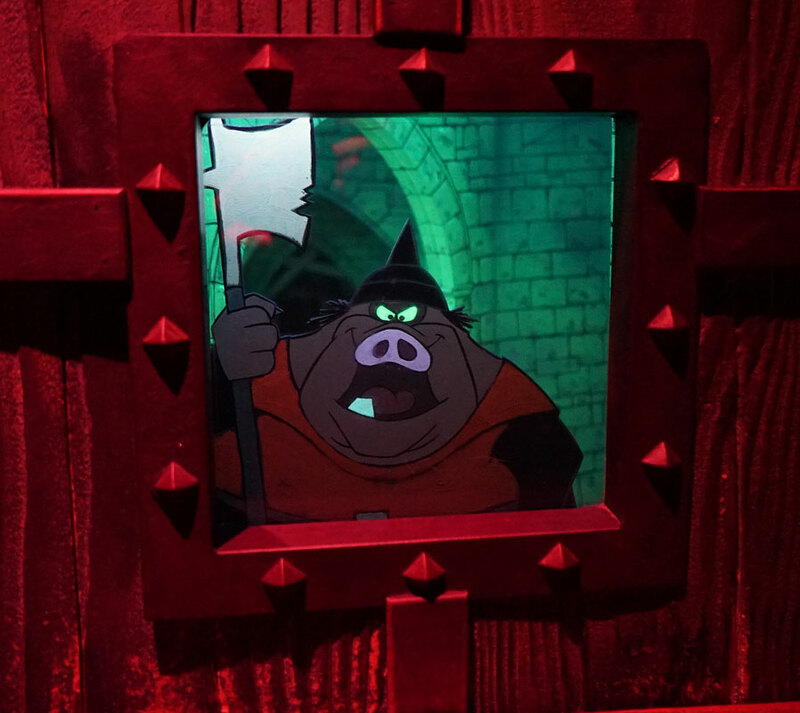 Once, in 1977, the look of the art was changed throughout the exhibit. 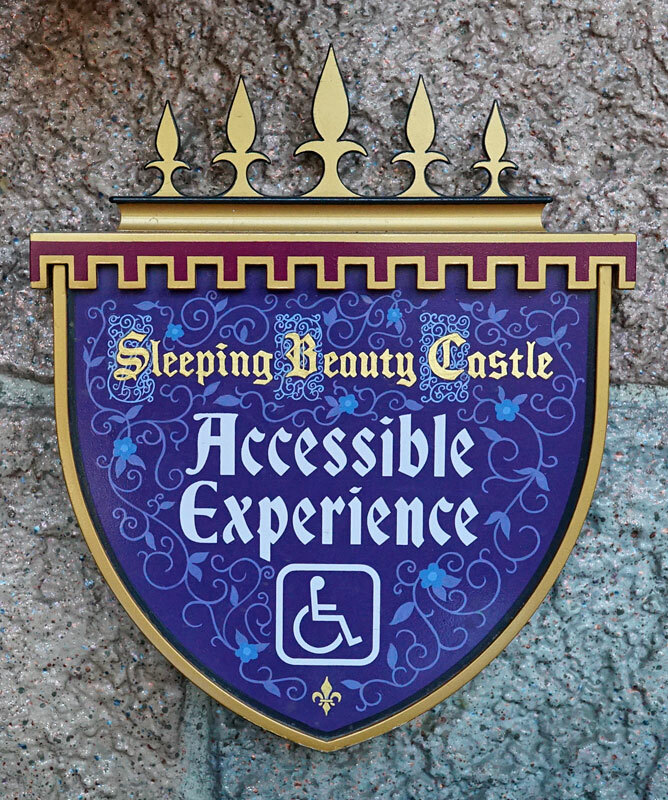 But then in 2001, the attraction was closed, apparently permanently, due to handicapped accessibility issues with the narrow walkways and stairs. 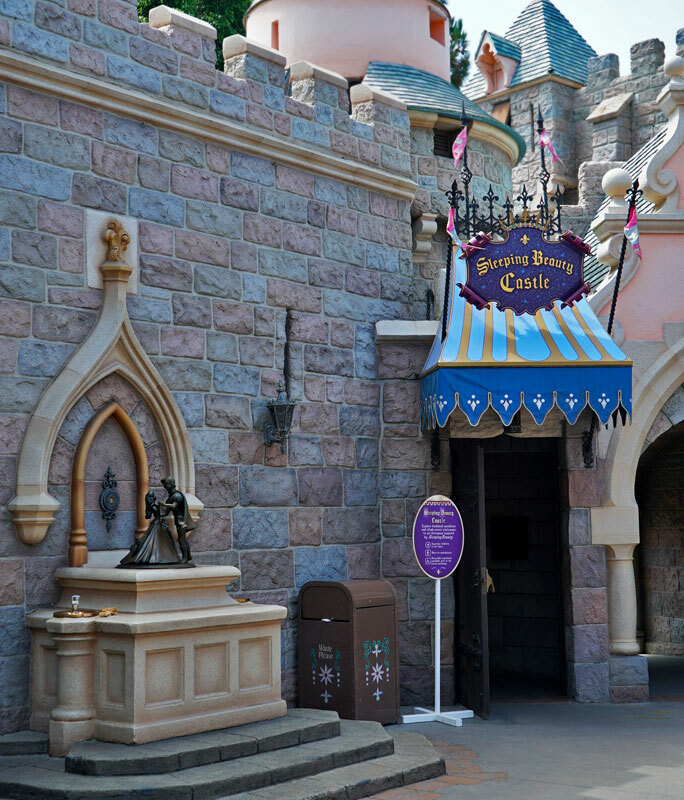 But in 2008, the attraction re-opened with a ground-floor viewing room for guests with disabilities. 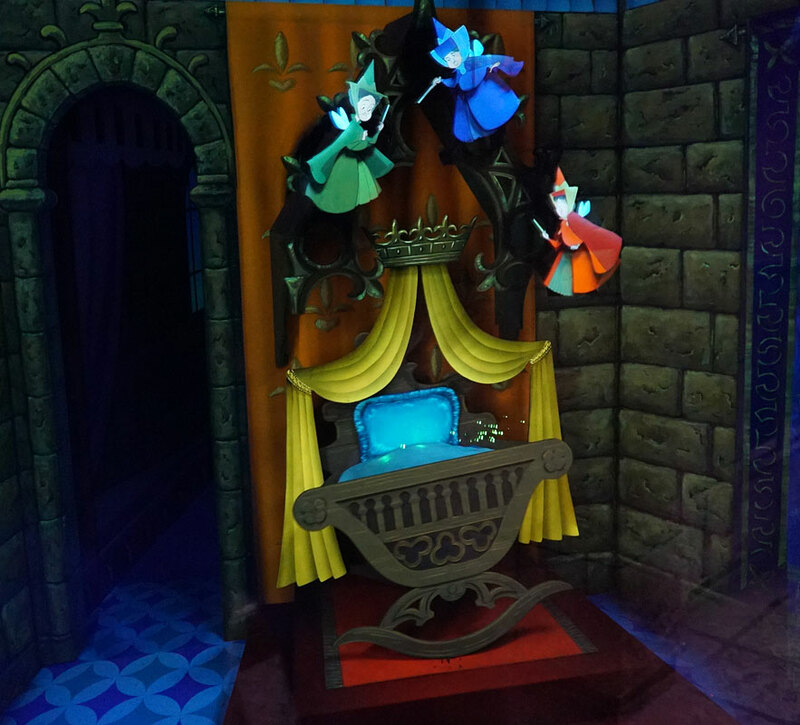 This allowed guests to once again access the colorful dioramas, which had been refurbished with new artwork, animation, music and sound effects. 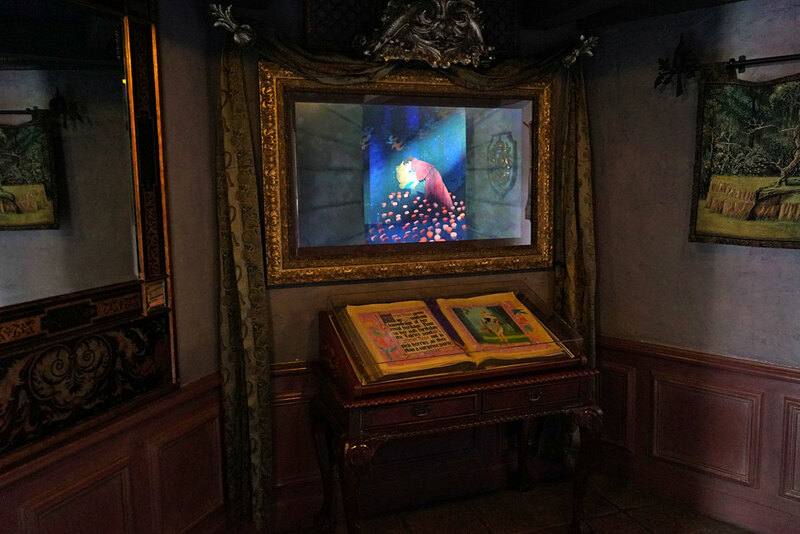 Guests who are unable to access the narrow hallways and stairs can now view the entire experience in the viewing room. 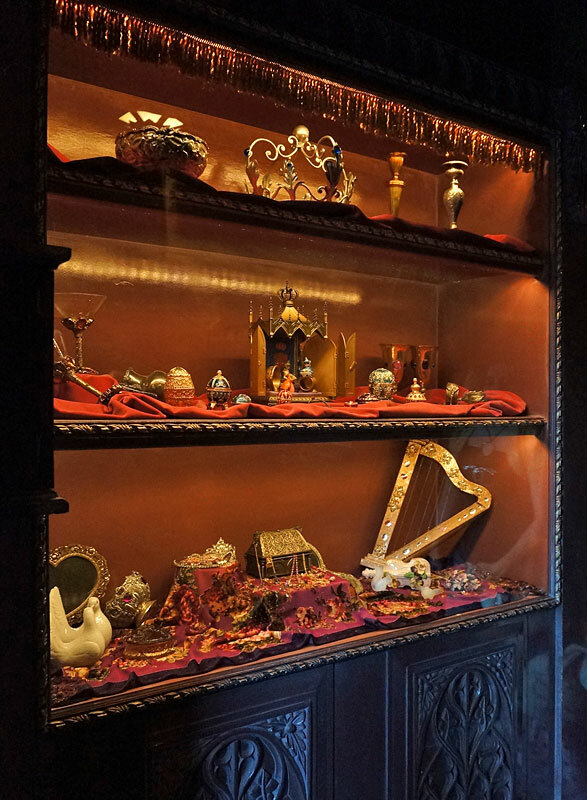 This display case inside the viewing room showcases beautiful works of art and characters from the story of Sleeping Beauty. 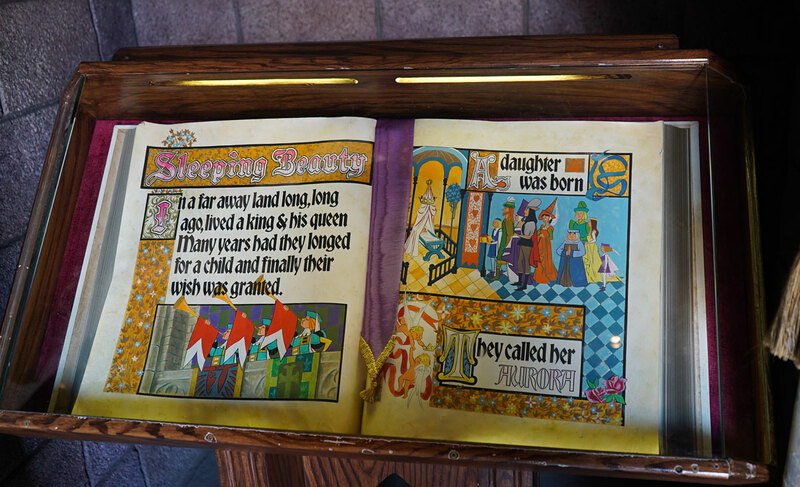 Colorful illustrated books with their ornate calligraphy, tell the story of Sleeping Beauty, as guests delve deeper into the castle. 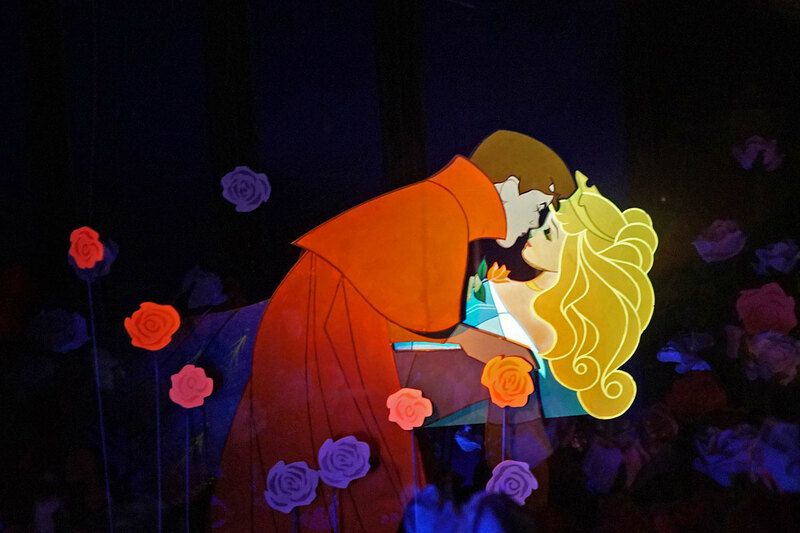 There are ten, colorful, low-lit dioramas that tell the story of Sleeping Beauty...some animated and with special lighting effects. 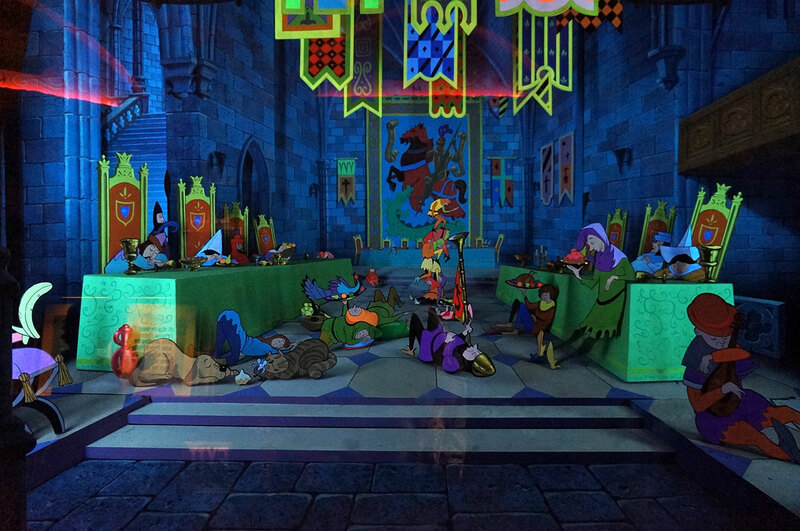 The kingdom is put to sleep. 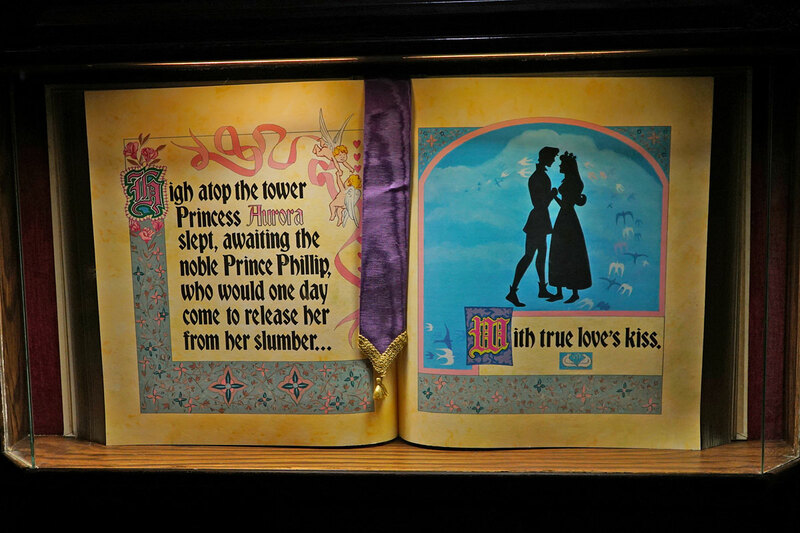 Aurora, asleep in the tower. 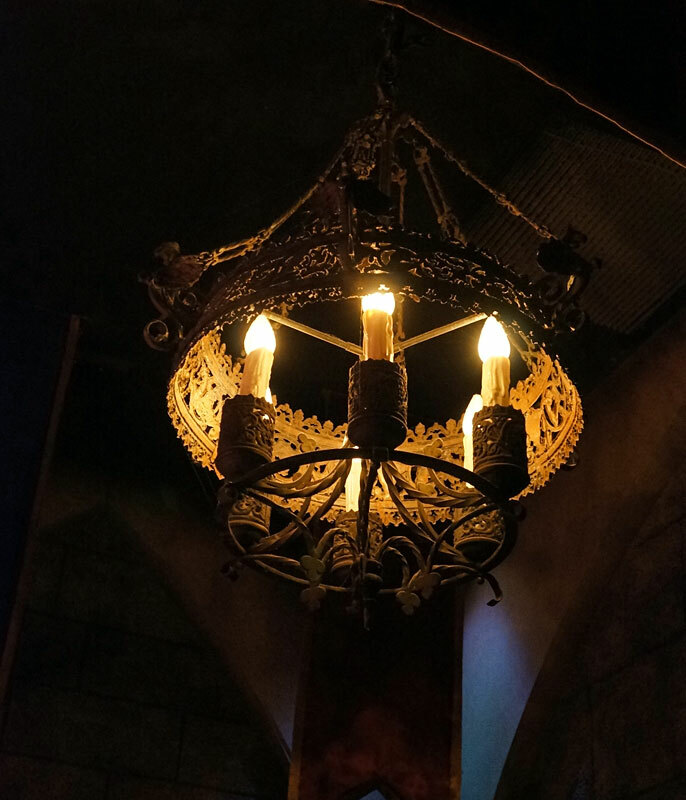 A spooky chandelier hangs from the ceiling. 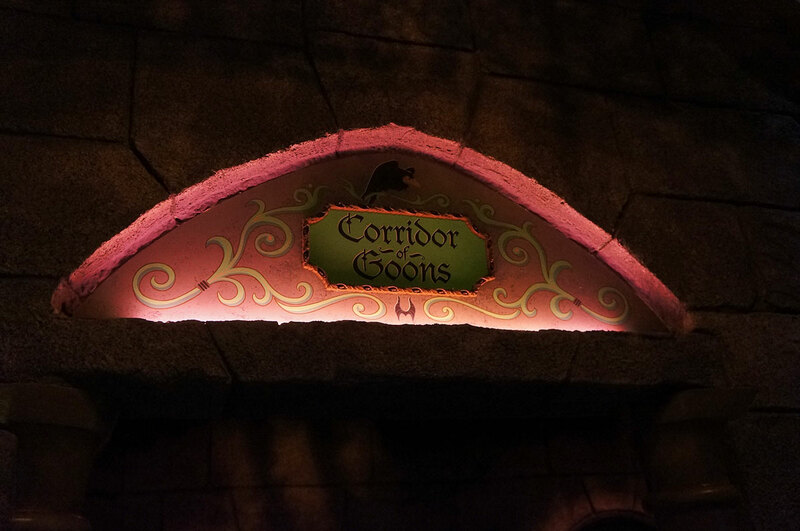 The Corridor of Goons is actually the walkway that crosses over the main castle entrance to Fantasyland below. 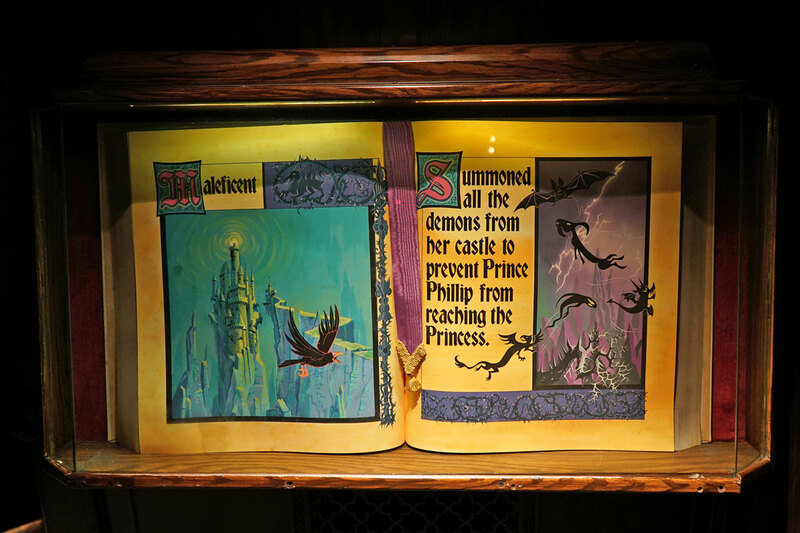 Maleficent summons demons to stop Prince Phillip from reaching the castle. 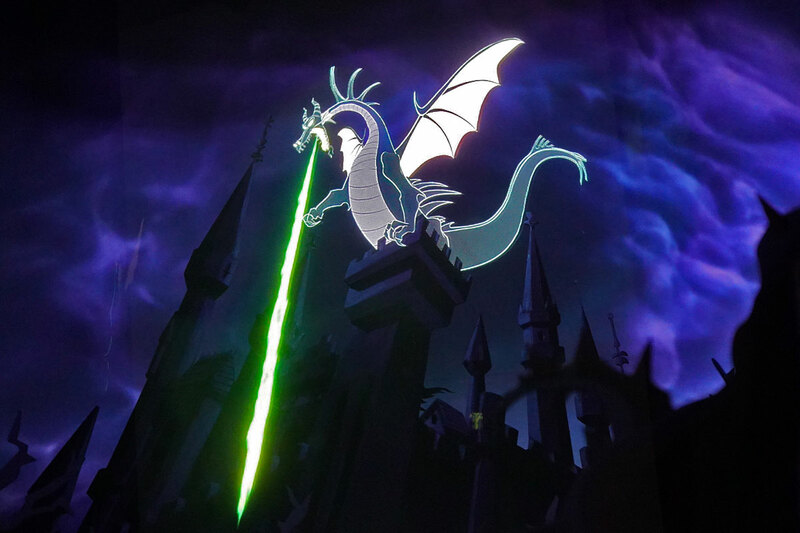 Maleficent turns herself into a mighty dragon. 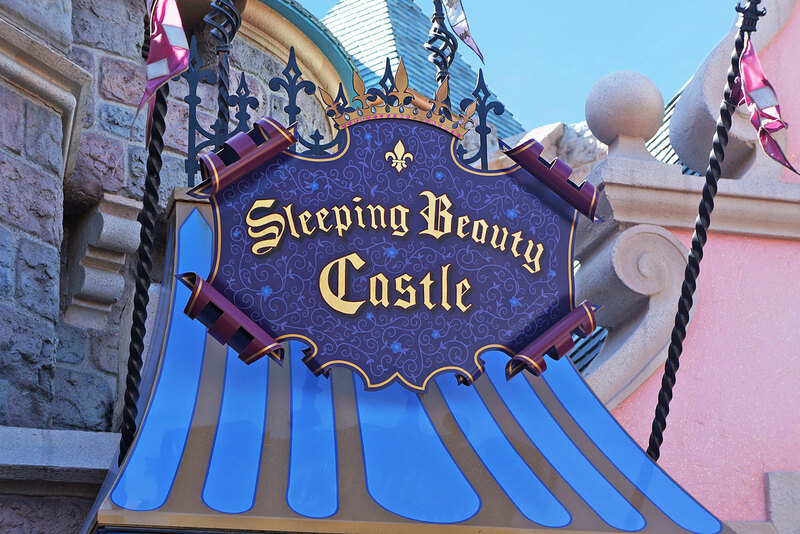 And now you can take a tour of the Sleeping Beauty Castle Walkthrough from the comfort of your own home. 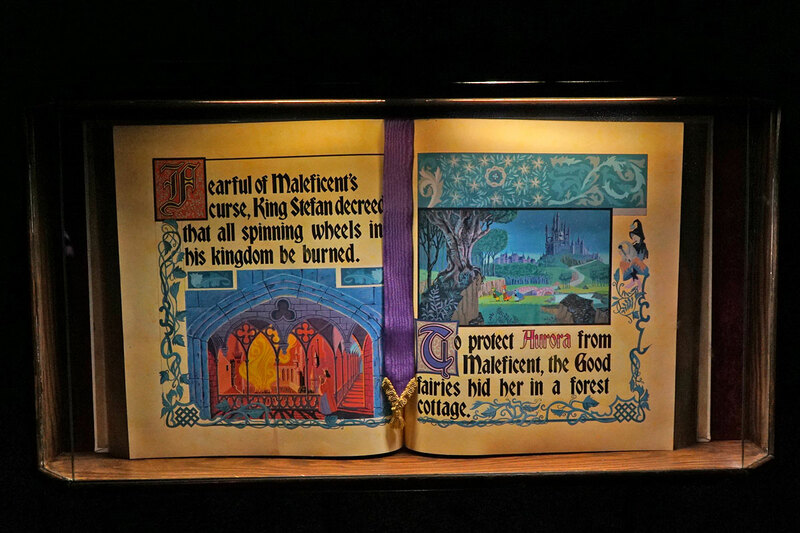 Wow, what a great picture series! 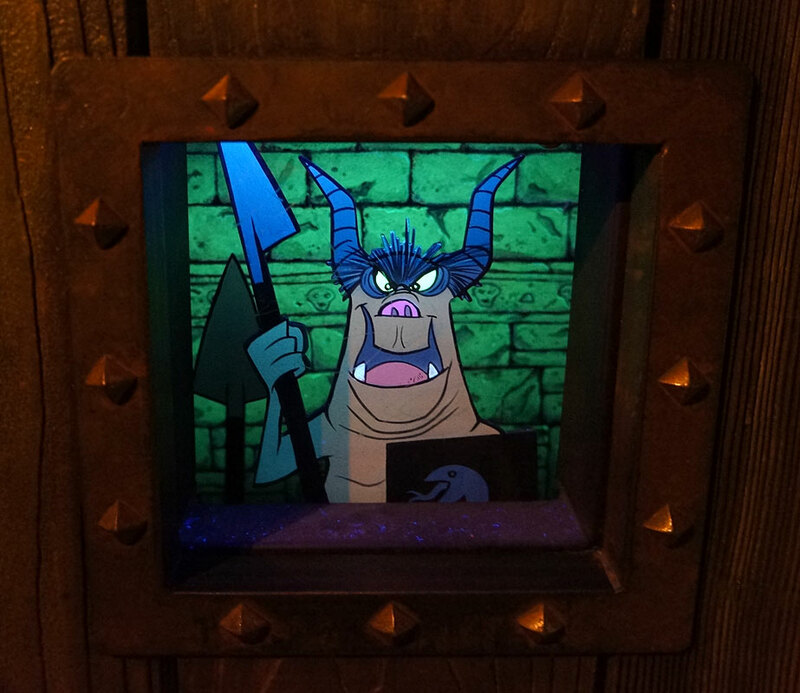 It's rare to find such a good insight look, which is pointing out the details on that walkhrough. And the video is pure pleasure! Thank you. Your comments keep me inspired. 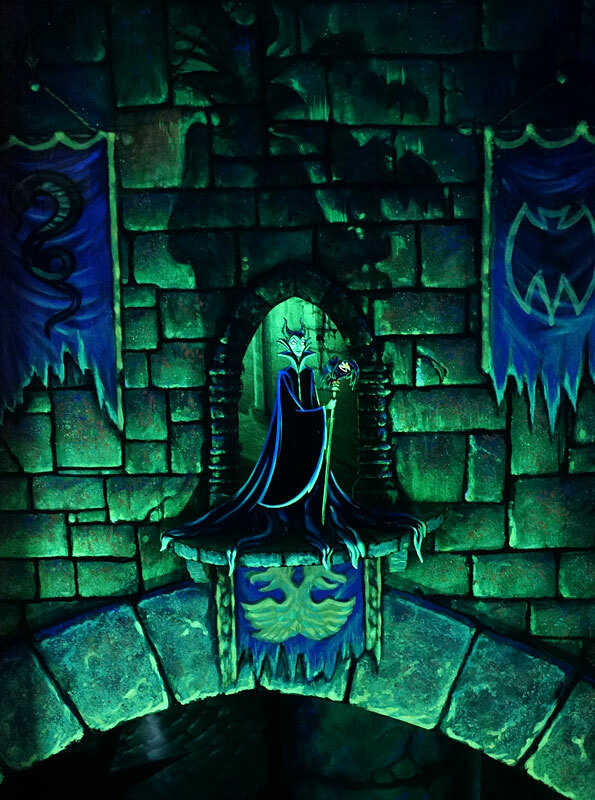 As average as the movie itself was, with the animators themselves admitting that it was basically a Snow White retelling with less heart, you can't argue with the quality of the animation itself, and the strength of the art style. 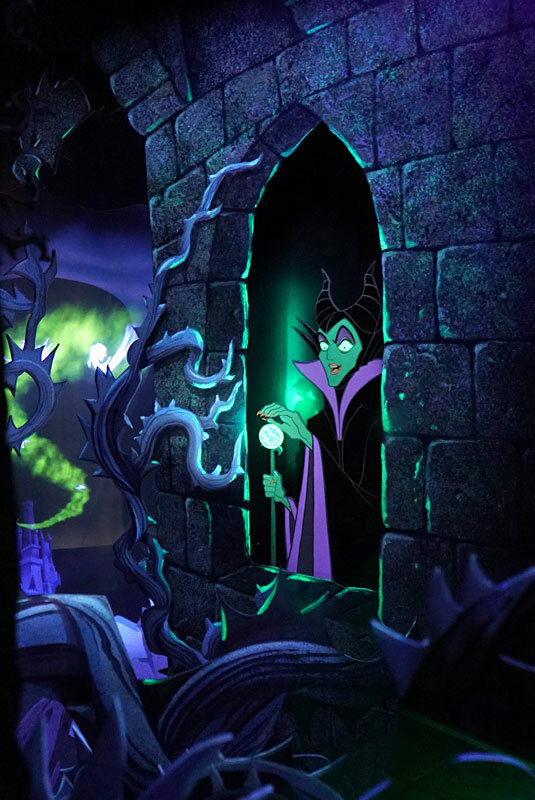 I think the attraction was developed cause guests wanted some way to get up in the castle, even though it wasn't really designed for it, hence all the narrow corridors and such. I pretty sure you're right. 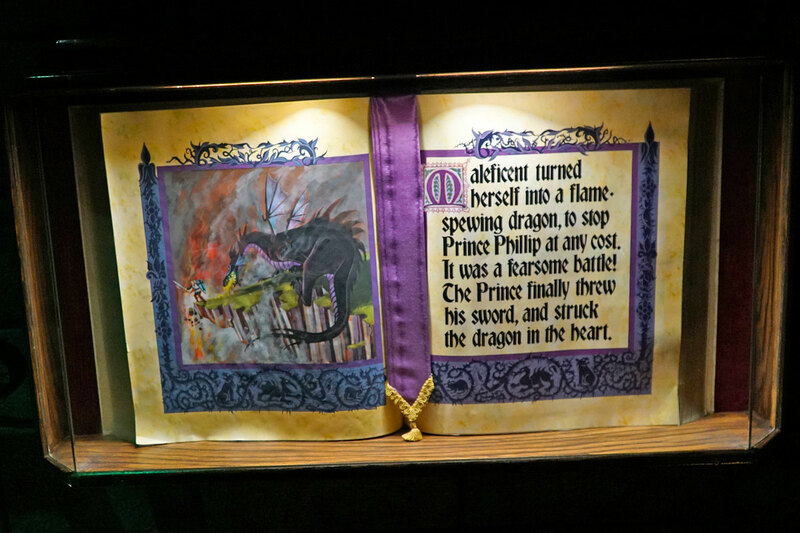 I don't believe a walkthrough attraction was originally planned. 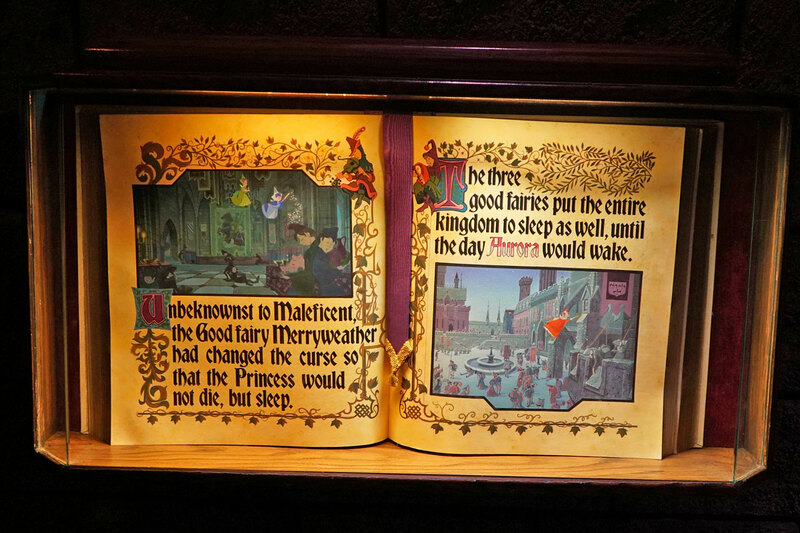 They did the best they could with the small spaces that they had. 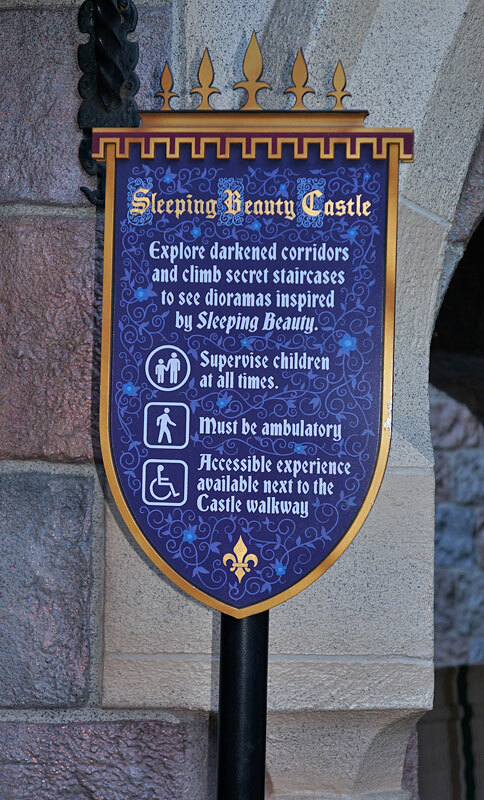 Which to me makes it strange that such a walkthrough doesn't exist at the World castle, when it would have been able to be designed for such a thing. 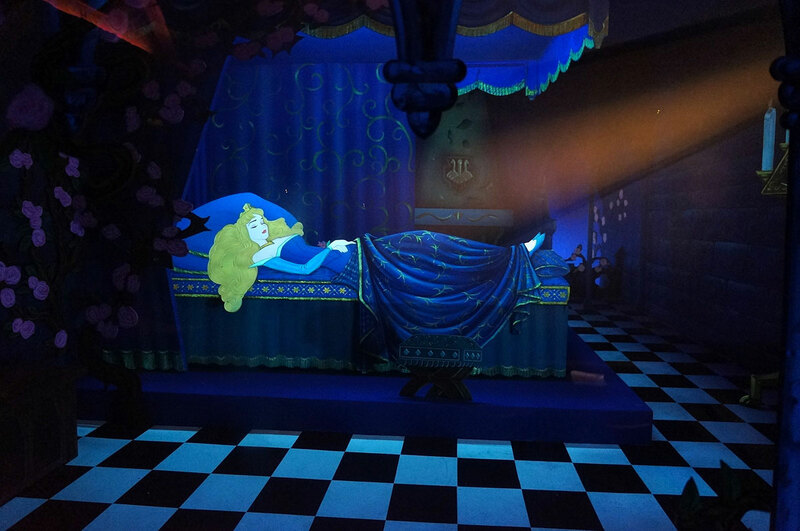 The uber-exclusive suite room to me doesn't seem similar..